Sell with Gary & Fran Farnsworth. 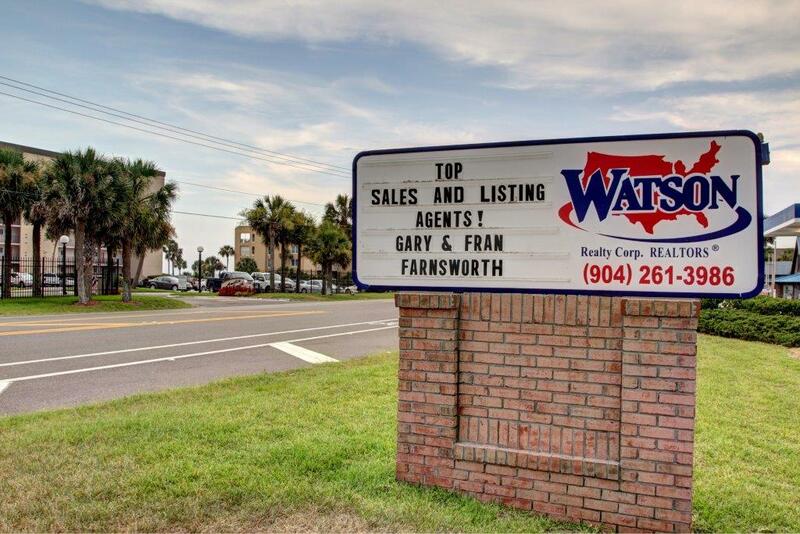 For the past five years (2018, 2017, 2016, 2015, 2014) Gary & Fran Farnsworth have been the top agents with Watson Realty on Amelia Island in Highest Total Sales! We sell and list a considerable amount of real estate every year AND our listings sell. We have almost 20 years of Amelia Island real experience. 2019 Forecast: Low inventory levels are now worsening with the number of Amelia Island listings still down from past years. Now is an excellent time to sell a home or condo with some only lasting a few days on the market. Selling real estate on Amelia Island is very complex! Why settle for less expertise on your investment. Our unique marketing descriptions of our listings really works! It equates to a high volume of showings. More showings bring better offers. Call us for details. There are many aspects to selling your home or condo and none is more important than the marketing of it. Currently almost 100% of buyers will look for Amelia Island properties on the internet before purchasing. Beyond Amelia Island Real Estate Today, we strategically market listings on Zillow, Trulia, Realtor.com and other websites through Watson Realty AND also on the back page of the very widely circulated Amelia Now magazine. The more widely your home or condo is marketed with multiple photos the more showing activity you will have, and my marketing methods are proven to work. We have had several listings with over 50 showings because of this, and showing volume translates to offers. There also are some professional tactics we use to maximize showings, especially if your condo is on the rental market, and we will be glad to share those with you. Watson Realty is the largest real estate company in Northeast Florida and the only Amelia Island real estate company to have offices on downtown Centre Street as well as at the beach on South Fletcher Avenue. We offer a professional, trusted, and worry-free way to sell your home or condo. Watson Realty is over 50 years old with nearly 50 offices.
" Gary worked very hard to sell our condo. He was always professional, courteous and honest. Also, he was knowledgeable of the current market values and kept us updated. Excellent service." - Judy G.
Watson Realty, founded in 1965, is a Jacksonville based family owned brokerage with over 50 and over 1,500 sales associates. Watson Realty is the largest real estate company in Northeast Florida and has two Amelia Island offices, by the beach and downtown Centre Street. On Amelia Island office we have been selected the "Best of the Best" among real estate companies by the News-Leader for 4 straight years. Watson is also prominent in the beach communities of Ponte Vedra Beach, St. Augustine and Jacksonville Beach. Watson Realty also is an affiliate of the Leading Real Estate Companies of the World.